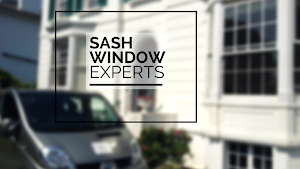 Here at Sash Window Experts, we have both the passion and the technical expertise to help preserve the classic period features of your home’s original sash windows. 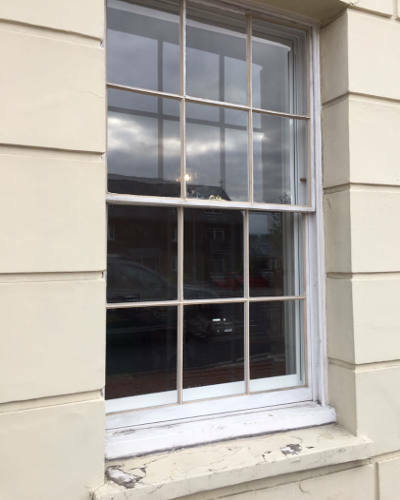 With a wide range of specialist sash window repair and restoration services on offer, our expert team can prolong the life of your Georgian Sash Windows to give you many more years of use and enjoyment. Contact us today for professional advice and to arrange for a free, no-obligation window survey. During the Georgian era (approx. 1714-1830), casement windows in most buildings were replaced with sliding sash windows which emerged as a fashionable and symbolic architectural feature. What we now recognise as Georgian sash windows could be seen in many of England’s most important buildings including Hampton Court Palace and Kensington Palace. Compared to the casement windows of earlier times, sash windows offered both a better aesthetic and greater functionality. Unlike casement windows, Georgian sashes retained their elegant look whether closed or open, while the ability to open the window fractionally meant better ventilation without the rain getting in. Boxes of sash windows were installed behind masonry, with components mostly within the box, making sash windows more resistant to moisture damage. As a result, the lifespan of sash windows compared to previous window styles improved significantly. Today’s Georgian sash windows are some of the oldest original windows still in use. Evoking the elegance of this bygone era is the distinctive 6-pane design on both the top and bottom sashes separated by astragal bars. This design came about as a way of achieving large windows as demanded by Georgian architecture, while overcoming the limitations of 18th century glazing technology. What are the main problems with Georgian Sash Windows? Paintwork deterioration – Make sure that the exterior paintwork of your property is properly maintained over time so that moisture cannot get into the timber and cause rot. Sash windows will need repainting every 2-5 years on average for maximum protection. Rotten window sills – If your sills are rotten, this can compromise the integrity of the window structure and needs to be addressed urgently. Whether your window is affected by dry rot or wet rot, Sash Window Experts can carry out remedial window sill repair or replacement as necessary. Sash cord problems – Your sash windows are counterbalanced by 2 sets of weights that are hung on cords run over a pulley wheel at the top of the window frame. If the weights become stuck or a cord snaps, the window won’t open normally, or at all. Professional attention to repair the window is called for. Damaged putty – If the putty holding the glass pane in place becomes defective, moisture can seep in and cause deterioration in the timber. Make sure the condition of the putty is assessed on a regular basis and repaired if necessary to protect the window. What kind of repairs can you carry out on Georgian Sash Windows? For more information on how we can help preserve or restore the period charm and characteristic design of the Georgian Sash Windows in your home, contact the artisan team at Sash Window Experts. Call 0800 197 0129 or email us your enquiry via the form on our Contact page and we will give the matter our utmost attention.